CHINA is quite literally going to war against air pollution as tries to tackle a health crisis that causes some 1.6m deaths every year. The end-result is major shortages up and down many chemicals value chains. The environmental campaign is in lock-step with wider economic reforms. 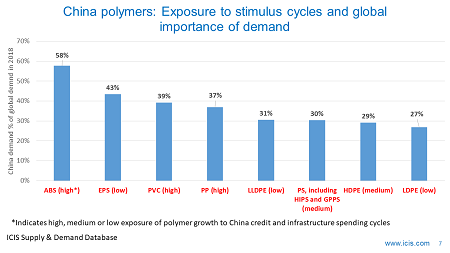 Economically inefficient low value manufacturers that will hinder China’s attempt to escape its middle-income trap are often also heavy polluters. So shut them down and you kill two birds with one stone. Plus some of these companies are “zombie companies” as they are having to borrow more money to pay existing debts. So shutting them down helps China deal with its debt crisis. The environmental campaign is politically very popular as well. 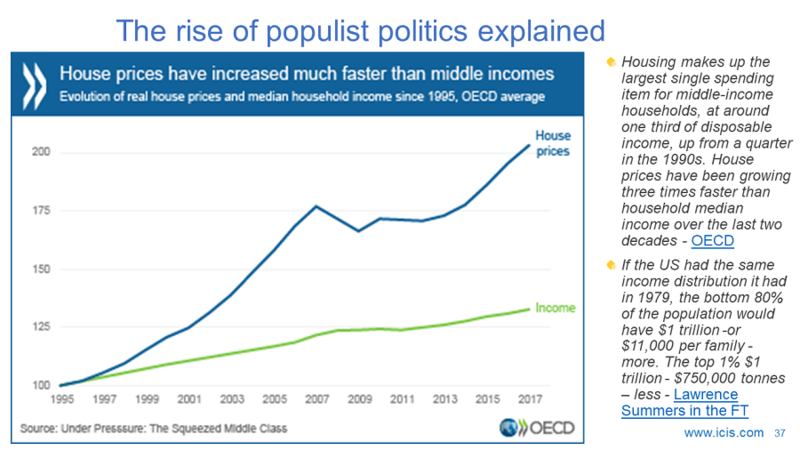 As the Chinese middle class gets richer in the more developed coastal and eastern provinces, quality of life has become a much bigger priority to the point where many educated, wealthy people will emigrate unless air pollution is greatly reduced. These are the people that China needs to retain if it is going to escape its middle income trap. You therefore must not think for one moment this is a temporary war on pollution motivated by the 19th National Party Congress, which takes place on 18 October. This is not about producing blue skies ahead of the congress but is instead, as I said, about a long-term commitment to resolve China’s air pollution crisis. 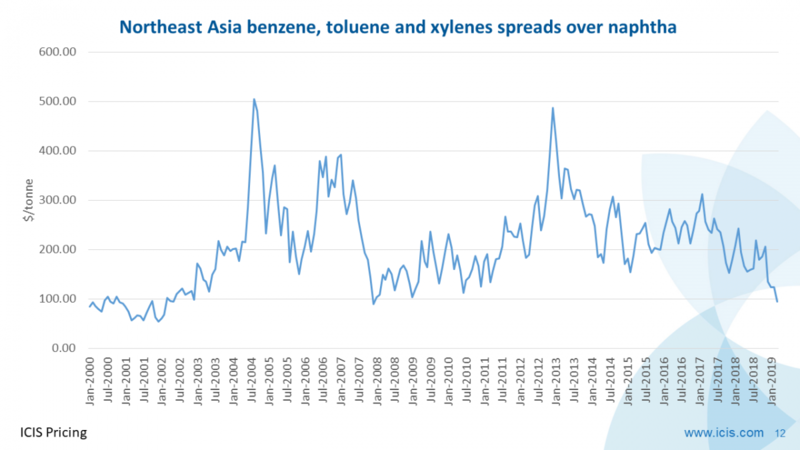 So expect long-term disruptions to chemicals markets. An indication of this determination is the directive that Beijing and a number of other northern cities must cut PM2.5 pollution (fine particulate matter) by 25% this autumn and winter. This is the first time targets for emissions cuts have been set for cities in the Beijing-Tianjin-Hebei region and nearby areas for the winter season. 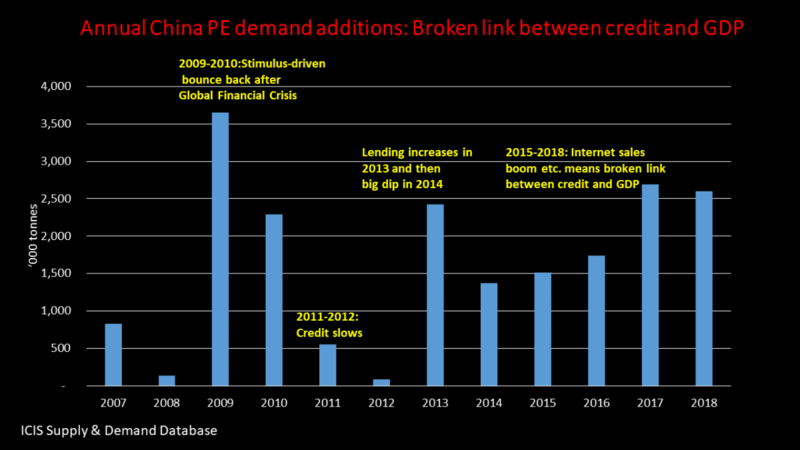 Targets for many of China’s other big cities have also been set. For example, Tianjin, Shijiazhuang and Taiyuan must cut their number of heavy polluted days by 20% this winter. Lots of people will understandably be sceptical given that previous environment campaigns have been more hot air than substance. But as the Caixin magazine writes. In a document jointly released by the Ministry of Environmental Protection and nine other ministry-level bodies, if a city does not achieve 60% of the emission reduction target, the city’s vice mayor will be held responsible; if the city achieves less than 30% of its target, the mayor will be held responsible; and if the PM2.5 level ends up increasing instead of falling over the winter, the party secretary of the city will be held responsible. Possible punishment includes party disciplinary or administrative punishments, the document says, without elaborating. One means by which air quality is being improved is through environmental and safety inspections of chemicals and other plants. Several waves of these inspections have already taken place, with a further wave set to be launched this month. Many small chemicals plants have been shut down by these inspections, some permanently. Others are being relocated away from the big cities. For example, a propylene derivatives plant was given six months to move from an inner city to a chemicals industry park. Many chemicals are a result in short supply – for instance, initiators to make polyvinyl chloride (PVC). PVC itself is also in short supply. 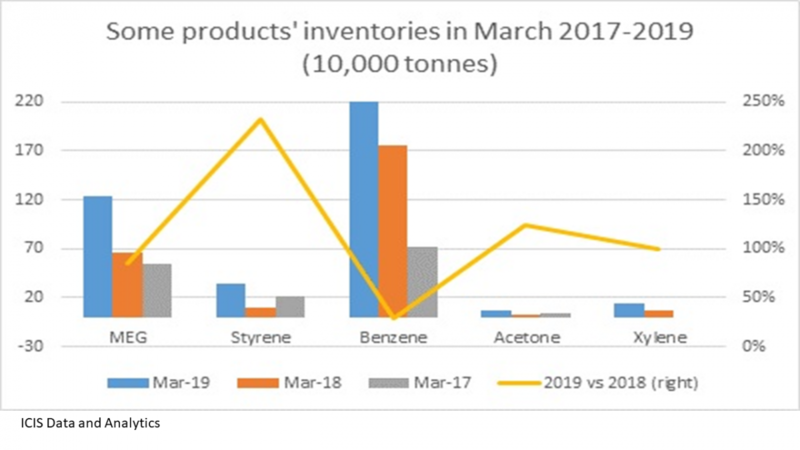 One other sector also affected by shortages is rubber chemicals. 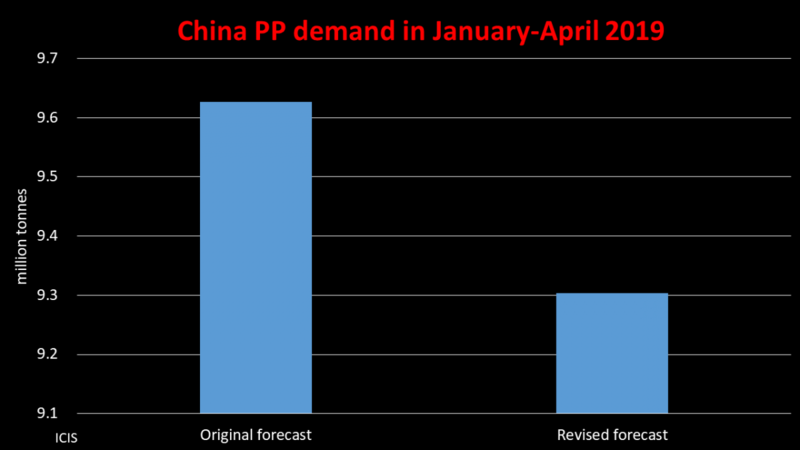 In China’s key polyethylene (PE) and polypropylene (PP) market, literally hundreds of small downstream plastic processors have been closed. But the government has not forced cracker operators or modern refinery-based and propane dehydrogenation-based PP plants to shut down. This is because many of these facilities are highly integrated and add value to the economy as they are start of the art. Closing a cracker is also a huge financial decision because restart costs are so high. At least three coal-to-polyolefins plants have, however, reportedly been forced to temporarily shut down because of environmental inspections. Hebei Haiwei shut its 300,000 tonnes/year PP plant in Hebei province from 26 April to 12 July. Shenhua Xinjiang’s 270,000 tonnes/year low-density PE and 450,000 tonnes/year PP plants in Xinjiang province will be shut from 21 July until 10 September. 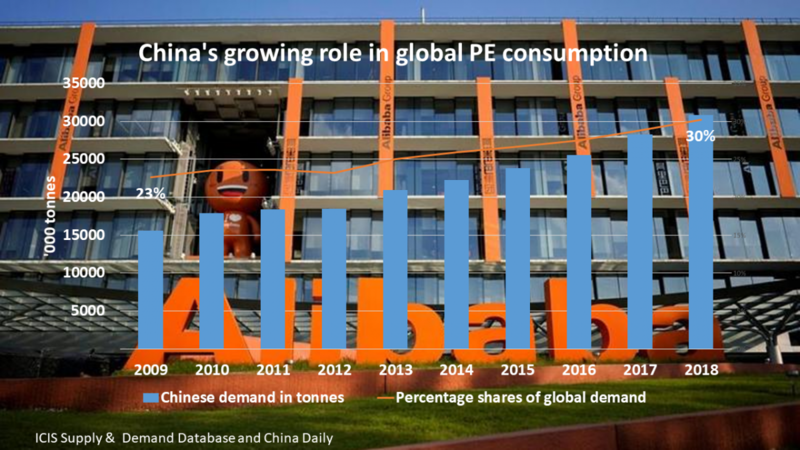 It is important to note, though that ICIS Consulting estimates that only 10% of China’s 24m tonnes/year of ethylene capacity in 2017 will be coal-based. In the case of propylene, coal-based capacity will this year be at 11% of a total of 31m tonnes/year. Ethylene and propylene are of course the raw materials needed to make PE and PP. Many more chemicals companies are likely to either be temporarily or permanently shut down, along with companies that buy chemicals. So, prepare for the risk that one day your supplier or customer might be in business, and the next day they may not. The debate will also be endless over whether upstream or downstream capacity losses are greater across the different value chain at any particular point in time. Volatility in pricing might thus be extreme with sentiment rather than hard fact playing a big role because of the difficulty in getting reliable data. GDP growth is also set to slow, both on the environmental clampdown and the wider economic reforms. But this is clearly a cost worth paying as the end-result will hopefully be a more sustainable growth model. And for the chemicals producers that can be part of the solution and not the problem the opportunities are enormous. 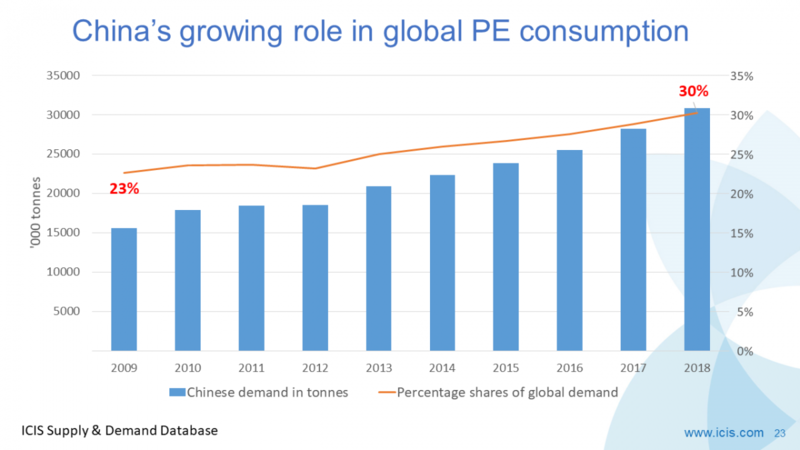 Those companies that operate process technologies that minimise pollution will be in a strong position – especially if they also produce the higher-value chemicals that China is targeting as it tries to escape its middle-income trap.